Find - Contact Telford Carpet Shop - carpet fitters. Specialist Carpet Shop in Oakengates, Telford. Address; 14 Limes Walk, Oakengates, Telford, Shropshire. TF2 6EP. Suppliers of Axminster Carpets, Plain Carpets, Rugs and laminated flooring. Carpet Shop in Wellington, Telford. Address; Carpet Parade, 6 Crown Street, Wellington, Telford, Shropshire. TF1 1LP. 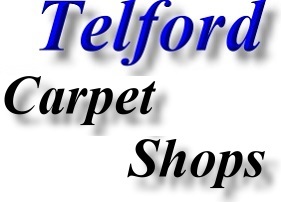 Address; Carpet Right, Unit 10, Telford Bridge Retail Park, Old Park, Telford, Shropshire. TF3 4PB. Carpet Fitter based in St Georges, Telford. David Smith has been Carpet & Vinyl fitting for over ten years. He is fully insured, based in Telford and has enjoyed a wide variety of fitting jobs, from bedrooms, lounges, H.S.L's, bathrooms, kitchens, pubs, hotels, caravans, boats, cars, almost anything you can think of. 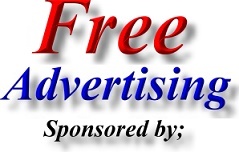 Address; David Smith Carpet Fitting, 12 Priorslee Road, St Georges, Telford, Shropshire. TF2 9EA. Carpet Fitter based in Jackfield Telford. Address; The Crossing Bungalow, Church Road, Jackfield, Telford, Shropshire. TF8 7L. Carpet Shop in Madeley, Telford. Address; KD Smith Carpets, 13a High Street, Madeley, Telford, Shropshire. TF7 5AQ. Carpet Fitter based in Donnington, Telford. Address; Paul martin carpet fitting, 49 Church Walk, Donnington, Telford, Shropshire. TF2 8EU. Address; Peter Jones Carpets & Beds, 47 Market Street, Wellington, Telford, Shropshire. TF1 1DT. Carpet Fitter based in Trench, Telford. Carpet Fitting, Rug Fitting and Floor Fitting Service. Address; 45 Stanmore Drive, Trench, Shropshire. TF2 7DQ. 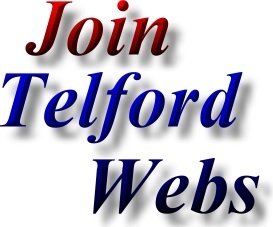 Address; The Carpet Bank, Haygate Road, Wellington, Telford, Shropshire. TF1 1QA. Address; Williams and Lamb Carpets, 1 Walker Street, Wellington, Telford, Shropshire. TF1 1BD.